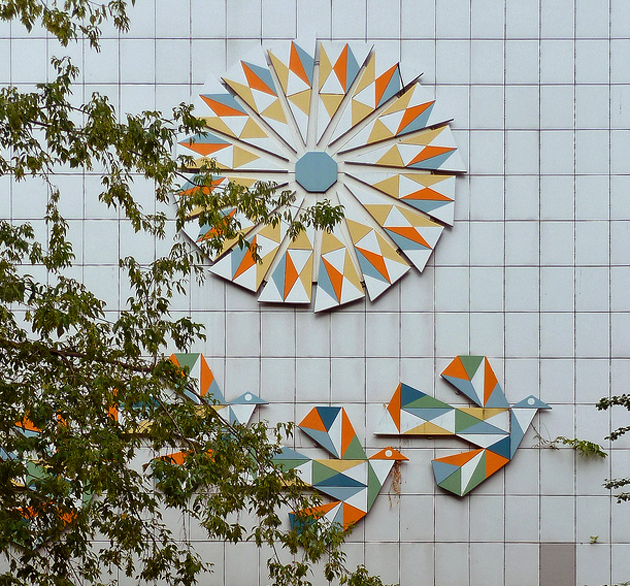 Here is another installment of architectural reliefs and murals from around the world. 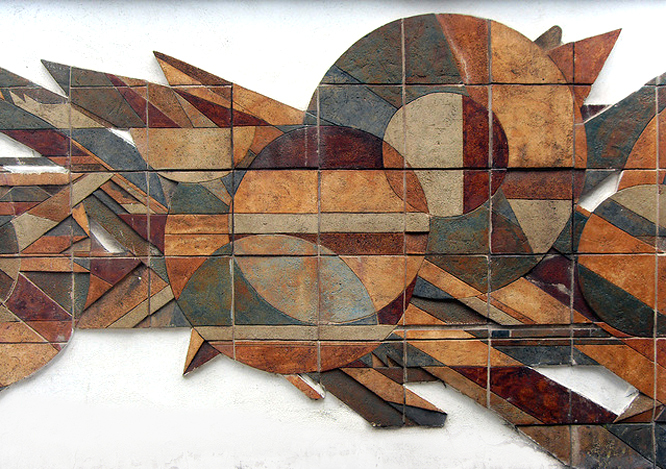 Walter Womacka (1925-2010), Tauben und Weltkugel (Dove and Globe), 1967. 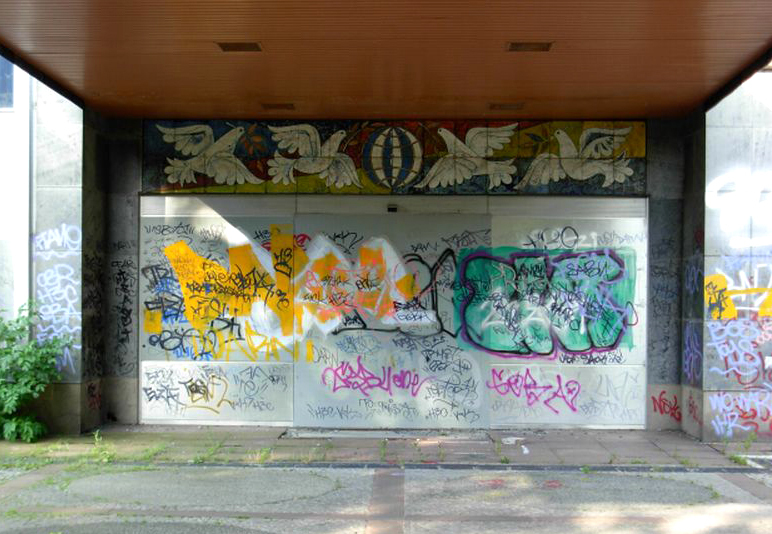 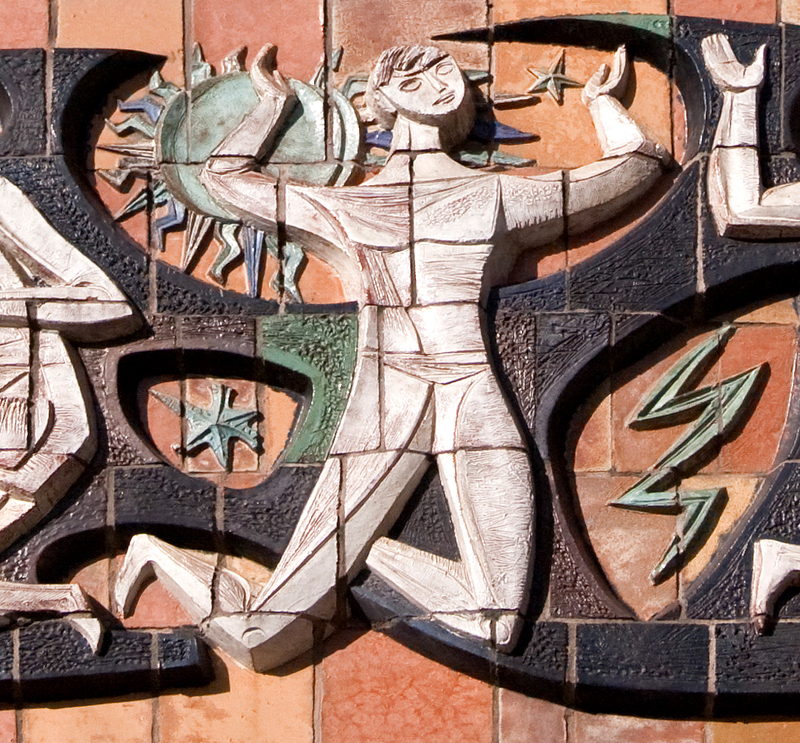 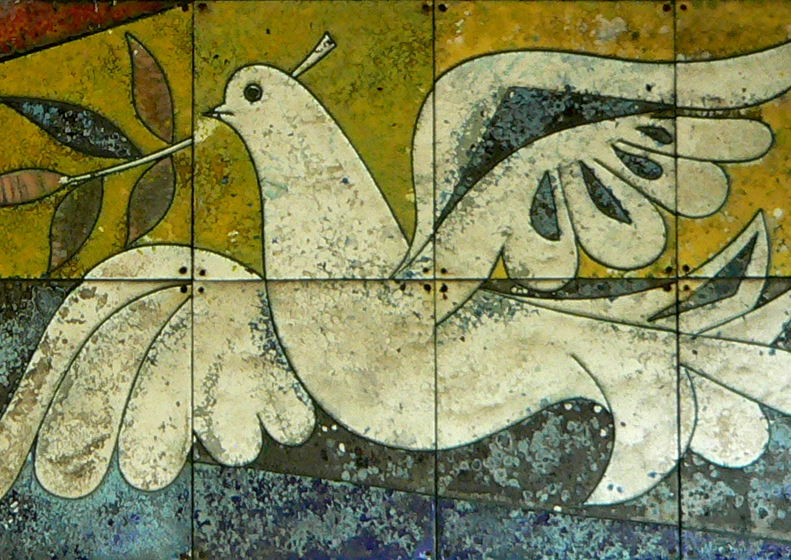 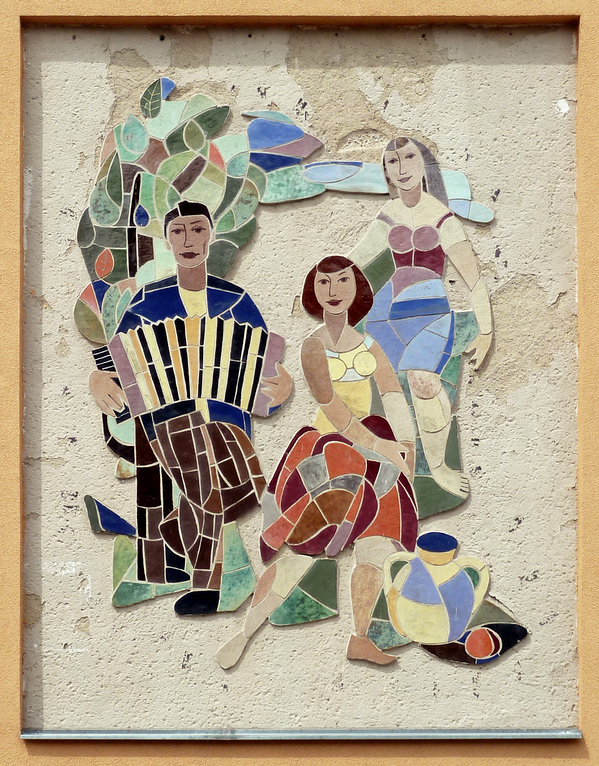 Ceramic mural located above the entrance to the former German Democratic Republic government guesthouse in Berlin-Pankow. 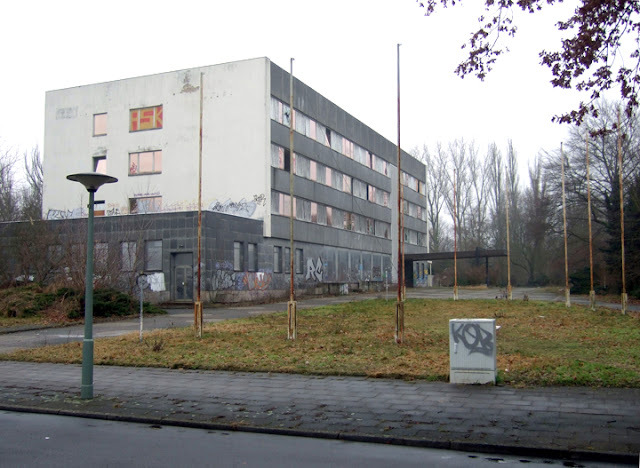 Wide angle view of former GDR guesthouse in Berlin-Pankow, Germany. 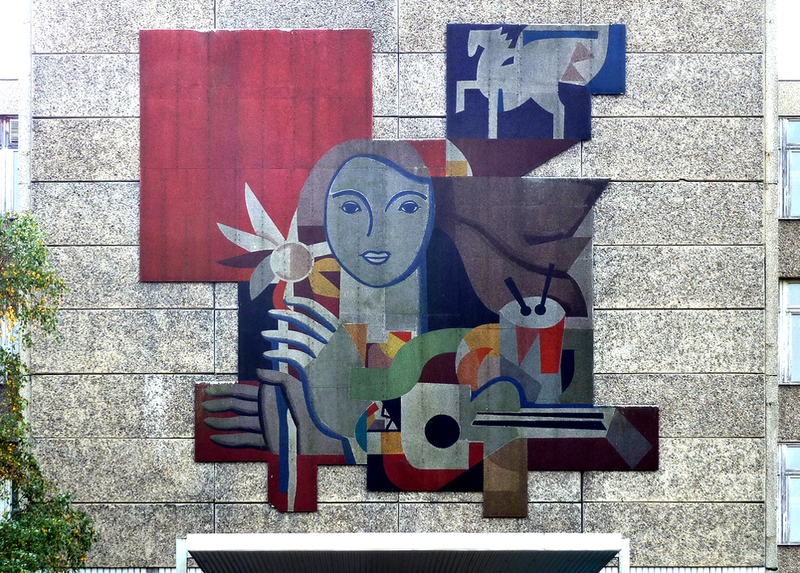 Below are images of Willy Mignot's, Ik Kom Ik Ga (I Come I Go), 1956, which adorns the exterior of a train station in Eindhoven, Netherlands. 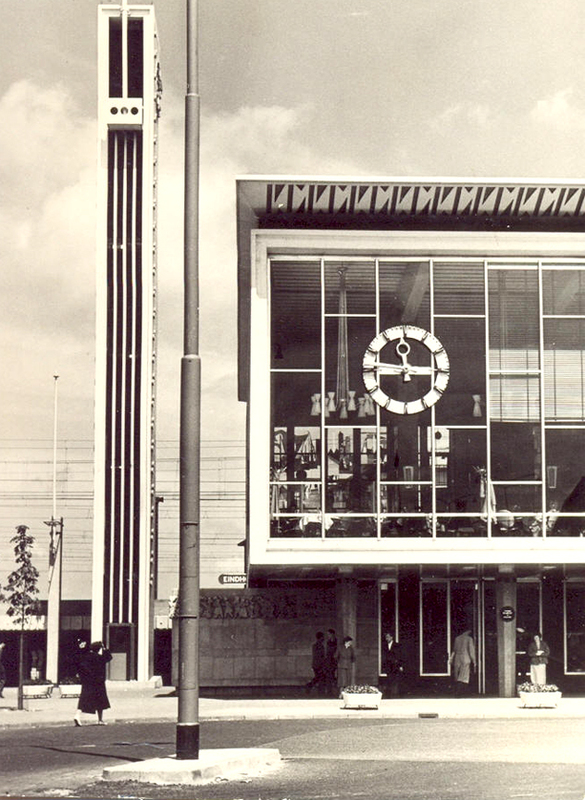 The building was designed by modernist architect Koen van der Gaast. 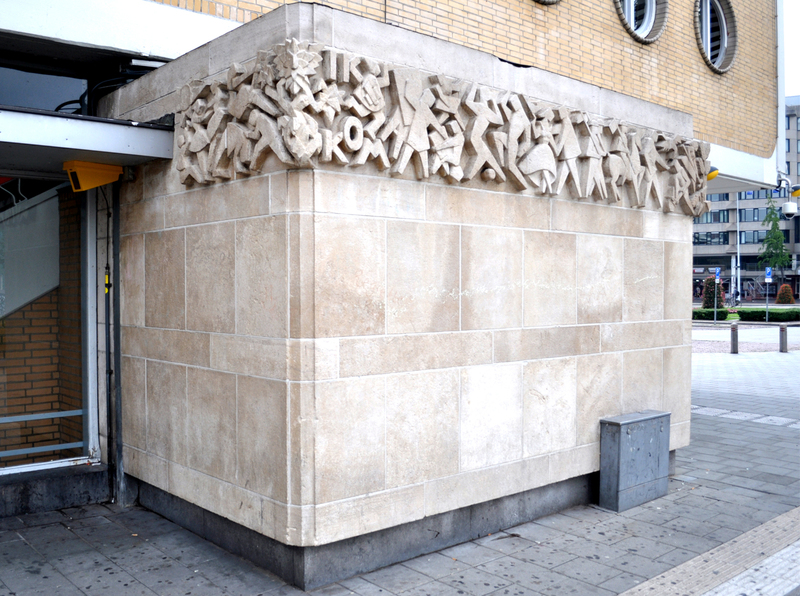 If you missed my first post about Dutch architectural reliefs and murals- click here.